Scottish Holiday Lodge in Central Scotland a perfect base for your holiday in Perthshire. Find out more about Scottish Holiday Lodge below. Charming country lodge and cottage situated in a secluded, private setting with panoramic views of scenic Perthshire. Comfortable accommodation with mostly wooden floors throughout, finished to a high level sleeping groups of up to 12. Rural and private yet easily accessed from the main Perth Inverness road. Warmed in the cooler months by night storage heaters and wood burning stoves.Within;-Accommodation is made up of 7 bedrooms and 5 bathrooms (including 1 double bedroom with private bathroom in the cottage)-Entrance to the lodge is via a delightful reception hall with seating area and wood burning stove-Sitting room and fabulous open plan living area with wellequipped kitchen, dining area and further living space-Gun cabinet available; private tennis courtPerfect for:Families, mixed couples, outdoor enthusiasts, fishing and walking groups looking to enjoy each others company in a spectacular location.Please note:Lower occupancy rates available on request A complimentary family pass to Blair Castle is included within the let. The lodge is closed in January, February and March of each year. There is a pond to the front of the lodge and it is not suitable for unsupervised children. No Stag Groups accepted at this property. Scottish Holiday Lodge is family friendly self catering. We have the following details listed regarding Scottish Holiday Lodge accommodation accessibility but we would recommend that you always confirm these prior to booking with the owner or operator. Scottish Holiday Lodge is a great base to explore the wonders of Perthshire and you will find plenty of activities near by. Scottish Holiday Lodge is at Pitlochry, Perthshire. The nearest train station is Pitlochry. The nearest airport is Edinburgh. Check out the map below for directions, use the controls to zoom in. If you have stayed at Scottish Holiday Lodge why not add your thoughts, comments, pictures to our Facebook page? Don't forget to add the name/town/page link to your comment so its attributed to the correct place. Please keep it polite, we are sensitive souls! Find Cottage Holidays works closely with independent cottage owners and leading holiday travel operators to provide you the widest choice of self catering accommodation across Scotland. 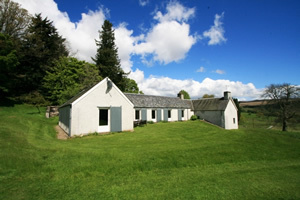 Scottish Holiday Lodge in Perthshire is available through: Scotts Castles. Stayed at Scottish Holiday Lodge?